American multinational technology conglomerate Cisco has suggested that the blockchain technology has the potential to hold as much as 10% of the world’s GDP. According to the company, several trillion dollars worth of value could be stored on both decentralized and permission blockchains by 2027. Citing IDC in its report, Cisco has said that the market for blockchain spending is set to reach $9.7 Bn per year by 2021. This is a four-fold increase that 2018, when the spending stood at $2.1 Bn on blockchain projects. Bengaluru headquartered blockchain-based fintech startup New Street Technologies raised $2 Mn (INR 13.7 Cr) in Series A funding led by Unitus Ventures. With this, the company is looking to expand its flagship platform built on blockchain — MIFIX — to the Middle East and Southeast Asian markets. The MFIX helps to connect banks, business correspondents (BCs), and cash outlets in one platform. According to the startup, during the lending process, the business correspondents and field officer collects customer’s information. Using MFIX, this information can be processed within 30 seconds. The Supreme Court is set to hear the crypto case on March 29, according to the court’s advance list. On February 25, the top court had directed the Indian government to formulate a clear regulation on cryptocurrency. The court had given a deadline of four weeks for this. According to reports, the court will first review the proposed cryptocurrency framework and then address the current crypto ban. Amidst debates and controversies, social media giant Facebook is now looking to hire executives to work for its secretive blockchain division to develop the company’s own blockchain application and cryptocurrency. Currently, about 50 people are working for developing in the company’s blockchain department. The company has listed 22 vacancies on its careers page seeking people for the role of lead commercial counsel, product manager, finance analyst, data engineer and threat investigator among others. The BMW Group Asia, Intel and Nielsen have become the corporate partners of Singapore government-supported blockchain accelerator Tribe. 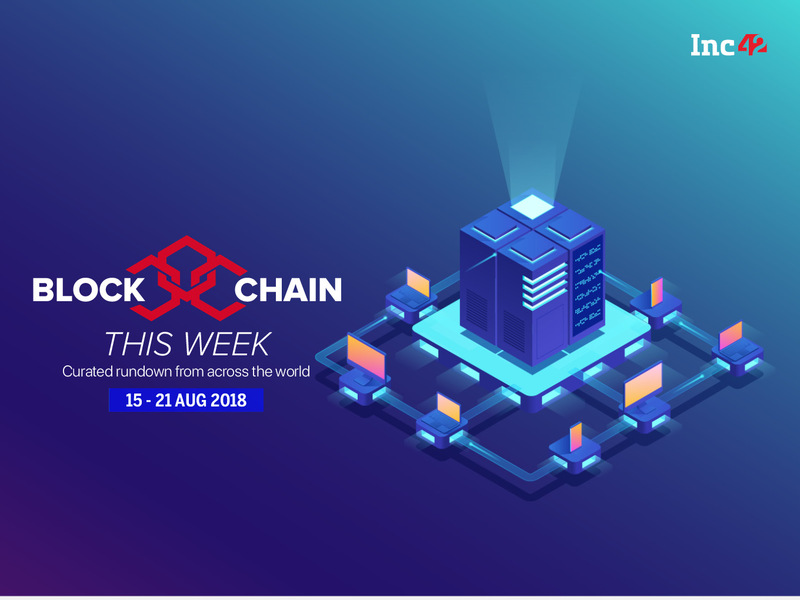 With this, the technology majors will be sharing their knowledge and subject expertise with the participating startups with an aim to build an “inclusive” ecosystem” for industry 4.0.” During this programme, the companies will be providing “masterclasses” and mentoring sessions to the startups on how blockchain solutions could be used in a mass market situation.